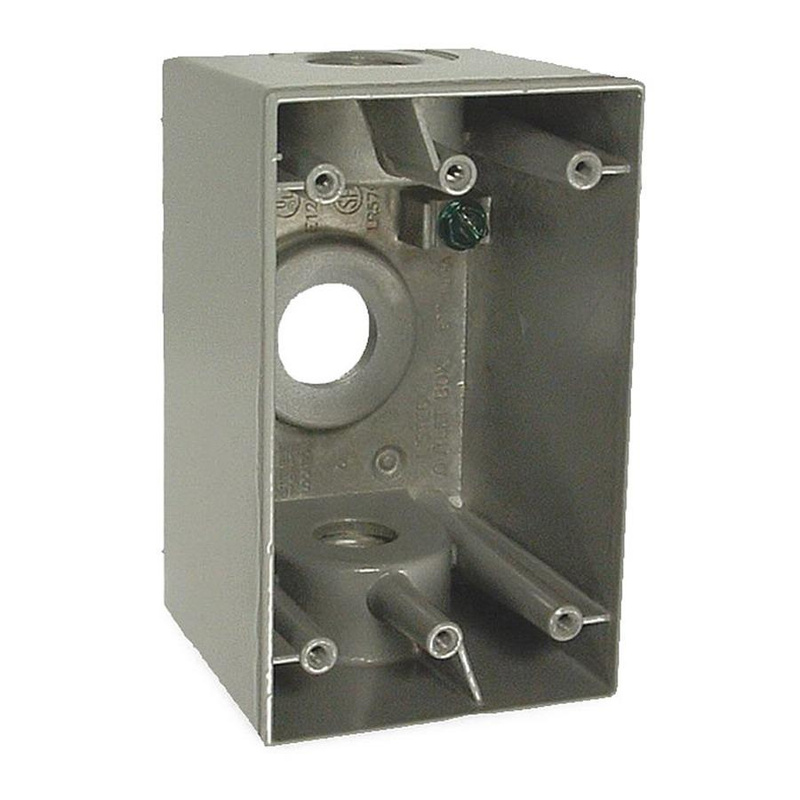 Raco Bell® 1-Gang Weather-proof electrical box in gray color, features powder-coated die-cast aluminum construction. This rectangle box measuring 2-3/4-Inch x 4-1/2-Inch x 2-5/8-Inch, has capacity of 22.5-Cubic-Inch. It has three holes of size 1-Inch. This box has one hole at the back and one hole at each end. Holes of this box accept all threaded fittings and threaded conduit. It comes with two closure plugs, ground screw, gasket and mounting hardware. Surface mountable box is ideal for use in weather-proof junction box, switches, GFCIs and branch circuit wiring in wet, damp or dry locations. It has NEMA 3R rating for safety. Box is UL listed and CSA certified.